Top advertising agencies have estimated that 80 percent of all Internet traffic will be video by next year. But because of budget restraints, time restraints, or simply not understanding its importance, many businesses simply choose to leave video marketing by the wayside. No other form of media or online content has proven to be as engaging as video. Whether we are watching it intentionally or not, we all tend to stop and watch when we see a video, even if it is for just a few seconds at a time. Video marketing also means higher retention rates when compared to text-based content. With a marketing method this effective, it’s no wonder that an estimated 87 percent of marketers and 35 percent of company online ad budgets will be spent on video this year. From educating the public about your brand to sharing customer testimonials, nothing will boost your conversion rates like video. 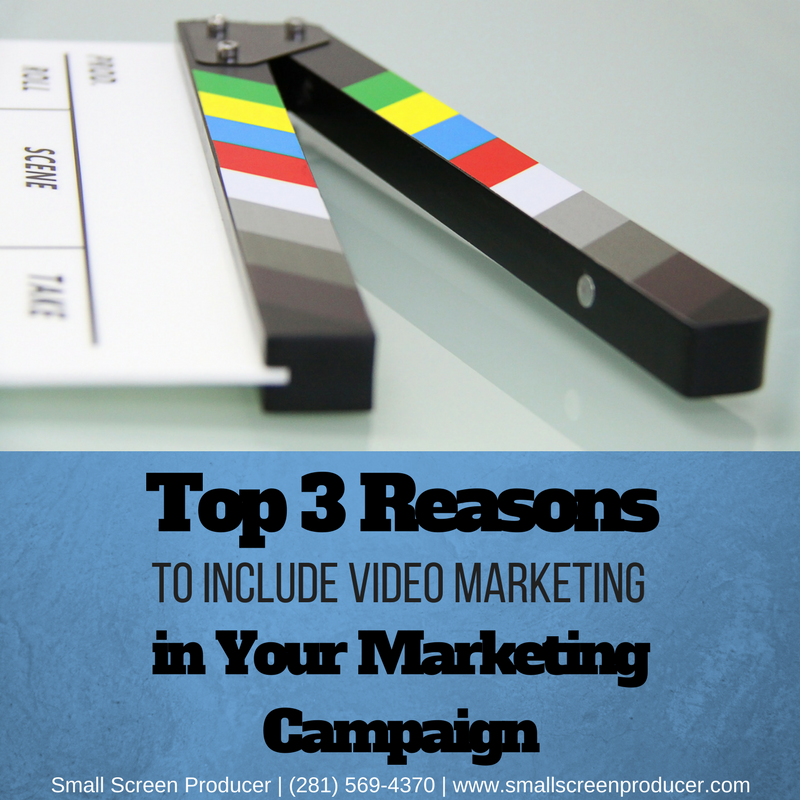 It’s no mystery why video marketing sells products. With viewers being able to see how the product words and literally envision how it can benefit their lives, you leave a better and more memorable impression on leads and customers than if you were to simply write about it. Small Screen Producer specializes in providing brands of all shapes and sizes with affordable, technologically advanced video creation and production services. No matter what your budget and business goals, our team partners with brands to design and deliver engaging video content that will share your product and your brand with the world. Use our extensive video marketing portfolio as inspiration for your next project, and contact us online to chat about your business goals with an experienced online marketing team member at Small Screen Producer.